Loss Management Group (LMG) have found Mobile Messaging for Insurance invaluable for contacting policyholders and it has proved to be instrumental in efficiency and productivity gains. 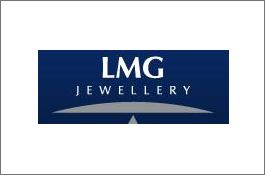 With over 20 years experience in valuing and repairing jewellery, LMG is the largest organisation in the UK specialising in the professional management of insurance claims for damage, loss or theft of jewellery, watches, collectables, art and antiques. As well as serving the customer directly, LMG works with the UK’s major household insurers and loss adjusters to bring about fair, professional and convenient settlements. LMG are required to contact policyholders under their instruction within a 1 hour period and found that using a conventional call was very time consuming. They decided to implement text messaging to make this part of their service more efficient. ProcessFlows’ text messaging solutions allow the sending and receiving of SMS messages from the LAN, without the need to deploy expensive communication hardware.